We all know you have been waiting for it — so here it is; the OFFICIAL guest list for our 2010 Fashion Show! And despite some circulating rumors, John Paul Gaultier is not one of the guests. Don’t get us wrong, we do love him, but who started that rumor? 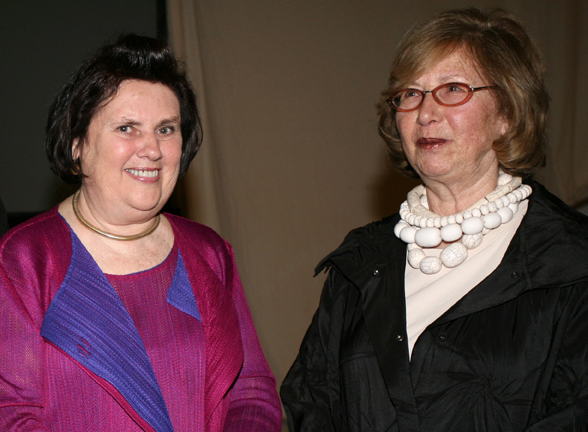 An Academy of Art University Honorary Doctorate will be presented to Suzy Menkes, OBE, Chevalier de la Légion d’Honneur, and fashion editor of International Herald Tribune. Honored guests will announce internships at the end of the show. Other internships and awards to be announced include Abercrombie & Fitch, BCBG, SURTEX® designext Student Competition, and the Sister City Scholarship Exchange to study abroad in Paris at Studio Berçot and L’Ecole de la Chambre Syndicale de la Couture Parisienne. That’s quite a guest list, isn’t it? Stay tuned for symposiums and Q&As that you can attend.